Babblings of a Mommy: FabKids: Monthly Outfits For Stylish Girls! 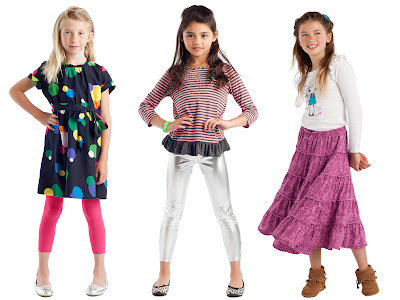 FabKids: Monthly Outfits For Stylish Girls! Listen up parents, getting your kids ready for school just got a whole lot easier! FabKids is a subscription-based site that delivers monthly personalized head-to-toe outfits to girls ages 2-8 for just $49.95 an outfit. 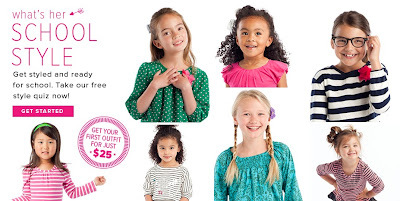 That means they take the guesswork out of trying to get dressed by personalizing playful outfits styled just for your little girl! 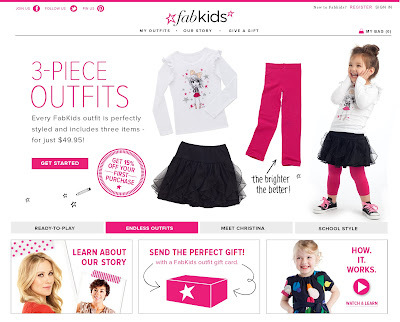 FabKids is the brainchild of ShopStyle founder Andy Moss and Christina Applegate has joined in as Creative Partner and will be contributing her expertise as a busy working mom and effortless personal style to the site. To celebrate the launch of FabKids, they are offering all new members the chance to scoop up a complete outfit for just $25! Just enter the code "FIRST25" at check-out. Want to know more? Click here to see a neat video that pretty much explains everything you need to know about the site.